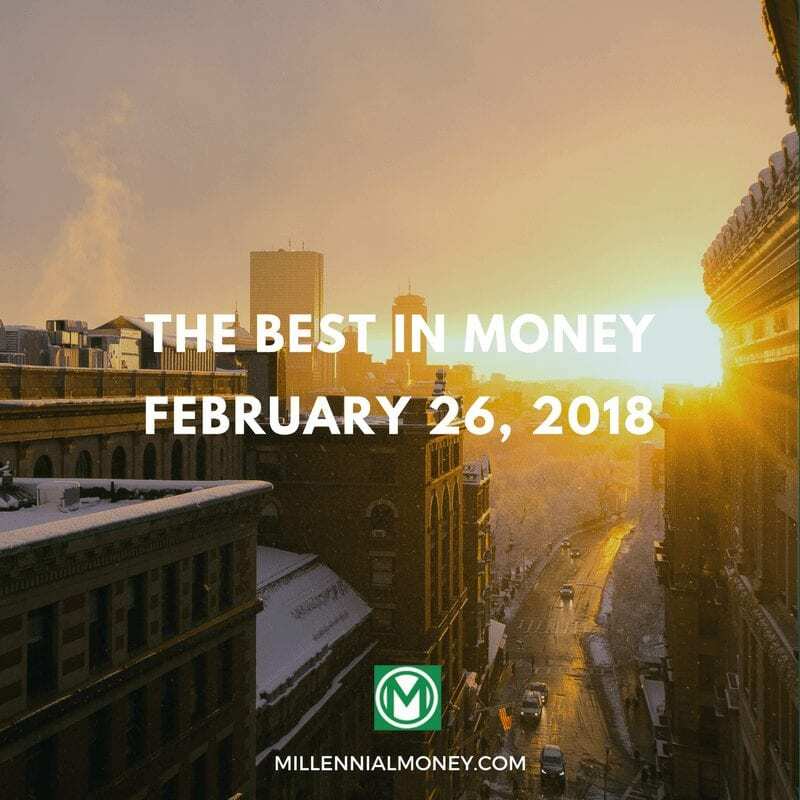 The Best in Money is a bi-weekly series released on Monday which highlights the best pieces on money we’ve stumbled on over the past few weeks. Some of the pieces are recent and some we’ve just discovered for the first time – but all of them have made us think and are worth checking out. We all know how Mondays can be a drag, so The Best in Money collection is designed to help you think, learn, and give you some inspiration for the week. The Best in Money include blog posts, popular media articles, think pieces, videos, podcasts, and the occasional book that you should check out. We are always on the lookout for the good stuff. 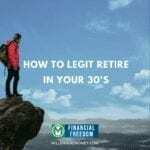 This list is curated by Grant from Millennial Money and Drew from GuyonFire. If you find an amazing article or post or video or whatever that we should think about including submit it here. This is an exceptional opinion piece on what we are trading for convenience – when we pay to have something made easier. I’ve thought a lot about the cost of convenience and even have a small section in my book about it, but Tim Wu has written almost everything I’ve been thinking in this piece. It’s well worth your time and will make you think twice the next time you call an Uber, order on GrubHub, or take the easy way. In this great blog post, Fritz from The Retirement Manifesto lays out some very smart moves you can make right now with your investments instead of freaking out. It’s definitely been a wild few weeks for the stock market but stick with your investment strategy. I’ve heard from so many of you asking what you should do and the key is to remember that long-term investing is long-term investing. You should be investing for the next 10, 20, 30+ years, so keep investing and let it ride. Market shifts are inevitable and normal. This is a post I first read last year, but I recently shared it with someone who was telling me about how they never feel like they never feel fulfilled at their job. How they never feel like they have “enough”. This post immediately popped into my mind and so I read it again and had to include it here. Taylor has a great perspective on this topic and shares her story of working at a digital marketing agency and feeling so unfulfilled that she knew she needed to make a big shift. I’m a big fan of Sam’s blog and have been a long time reader. 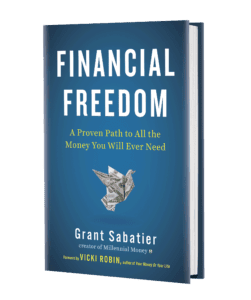 When a lot of personal finance bloggers focus on cutting back, Sam has never shied away from trying to make as much money as he can (why not?). His posts have always challenged me and made me think and this one is no different. 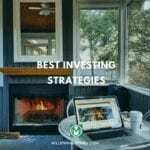 In this post, he outlines when you can realistically expect to reach $1 million within your 401k based on your target investment risk/asset allocation. It’s a pretty compelling case for keeping your money 100% invested in the stock market. The connection, or lack thereof, between money and happiness, is always an intense topic of conversation. 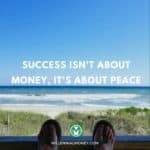 In this great post, My Money Wizard breaks out the philosophy of Dan Bilzerian, the famous Instagrammer and poker pro and what he thinks about the connection between money and happiness. Warren Buffett completely redefines what it means to be a legend. The has never been and probably will never be another investor like him. His mixture of keen insights and wise sayings make him a pure joy to listen to and read. One of the highlights of the year for Berkshire Hathaway shareholders (and many value stock investors) is the annual Berkshire Hathaway shareholder letter. Warren drops a lot of insight and wisdom that will teach you not only about the stock market but also about life. If you want to go really deep here is an archive of all of Warren’s shareholder letters going back to the 1960’s. Be careful, they are addicting but educating. I’ve spent a lot of time down that rabbit hole. I’ve gotta admit I’ve gotta a kind of weak spot for good commencement speeches and this is one of my all-time favorites – “This is Water”. David Foster Wallace gave this speech at Kenyon College in 2005 and unfortunately, there isn’t a video of the speech, only this audio. While he covers a lot of ground in such a short time, his focus on what you are trading money for and the life you are expected to live are transcendent and profound. It’s worth 22 minutes of your time this week. Since I left the corporate world last October when I haven’t been working on my book, I’ve been reading a lot. I’m a big fan of Cait Flanders blog and writing, so I was excited to read her book The Year of Less: How I Stopped Shopping, Gave Away My Belongings, and Discovered Life Is Worth More Than Anything You Can Buy in a Store . She takes you on a journey as she unpacks her life and removes the need for money. What happens is remarkable. It’s the best book I’ve read so far in 2018 and will truly make you think – it may even change your life. Sorry for the shameless plug here, last week I was on ABC Nightline talking about why you shouldn’t be investing in Bitcoin. I’m still surprised so many readers keep hitting me up asking for advice on Bitcoin. This is a pretty solid segment on Bitcoin that I hope convinced at least a few people not to invest in it! If you only want to receive The Best in Money every Monday morning in your email then sign up for The Best in Money email below. Only best the best money posts, podcasts, and videos. Every Monday Morning! Success! Thanks for subscribing to The Best in Money. Have an amazing post, video, or podcast that we just have to share? Then submit the post it be featured in The Best in Money. We will review every submission and schedule them into the future – so we will be cataloguing all the posts (so even if you don’t get featured the first week, don’t worry you still have the opportunity in a future release or in a special edition that we will be dropping occasionally on a specific topic. Thanks for sharing The Best in Money. I’m honored to be included, Grant. Thanks for the shoutout. Great list of works here. It’s mind blowing that so much incredible material and advice is out there. I was inspired by Financial Samurai to start my PF blog. A good thing to know about blogging as a side hustle is there’s more than enough money to be made by everyone who dedicates themselves to this line of work. Thanks for the shout out Grant! Some great reads here!